Abrar Al-Heeti for CNet: When Phil Parker visits hospitals around the country, he brings Boo Boo along with him. Boo Boo is great with kids. He plays Simon Says, reads books and plays music. He's a good listener, and he can help calm a child's nerves before they go into a procedure. Boo Boo is not a medical professional, or even human. He's a robot. 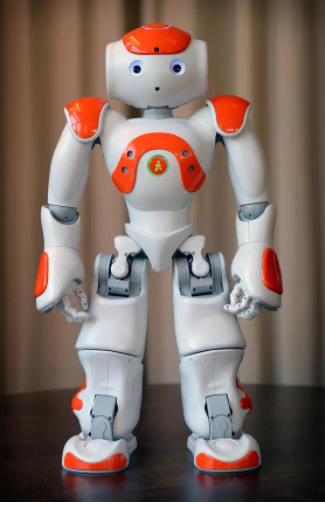 Standing at just under two feet tall, the red-and-white humanoid is a product, the Nao, from Softbank Robotics. He has a somewhat childlike appearance, with black, circular eyes that peer straight at you from his round head. Parker, a health care executive, named his robot Boo Boo to better fit the mission of helping injured and sick kids deal with the stress of being at the hospital.